Tired of lugging all your gear around? This is the travel companion you've been looking for. If you want a small size kit with a big sound t.. Tired of lugging all your gear around? This is the travel companion you've been looking for. 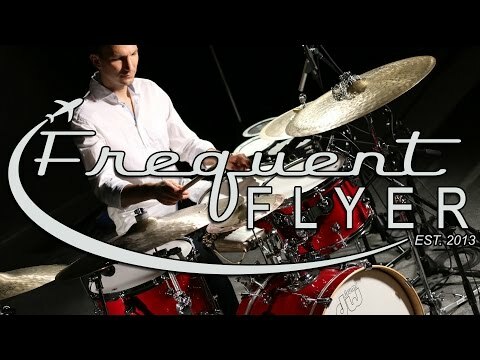 If you want a small size kit with a big sound the DW Frequent Flyer is the perfect choice. DW Frequent Flyer - The Kit for any Road Trip. What if you could have a small kit without losing out on that big sound? Now you can. With the DW Design Series Frequent Flyer you have a travel-friendly compact kit that doesn't compromise on sound. Often small kits, although convenient, can lose depth of sound compared to their larger counterparts. After literally years of R&D, DW have created a kit with shell sizes specifically designed to optimise sound while remaining compact enough to transport easily. The bass drum is a compact 20" x 12", while the rack tom is a standard 12" x 8" and the floor is a shallow 14" x 11". The kit also comes with a matching 14" x 5" snare to complete the look. Despite it's compact size and appearance this kit definitely packs a punch providing a full, melodic, deep tone. From the powerful punch of the bass drum, to the snappy yet full bodied crack of the snare with the well rounded, warm tones of the toms inbetween this kit will give you everything you need to play with confidence, no matter the size of the venue. The kit features the high specifications you'd expect from DW including True-Pitch tension rods to help your drums stay in tune, MAG snare Throw Off, True-Tone Snare Wires and DW Remo drum heads. Whether you're short on space for a home practice kit, need something for small venues or simply want something that's easy to transport for tour, the DW Frequent Flyer is the logical option if you want a small kit with a big sound.